Is this the way the cookie crumbled? Google has responded to claims that it has been cookie gathering through Apple's Safari website, explaining that it has not collected personal information but just wanted to know which users were signed into Google. Rachel Whetstone, senior vice president of communications and public policy, has explained the situation in a statement and outlined the reasons why the search giant was found with its hands in the cookie jar after creating a loophole to circumvent Safari's security settings. 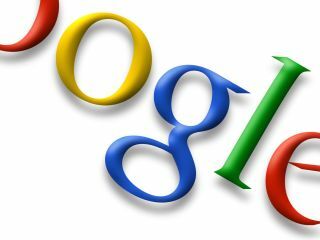 The loophole was originally reported by the Wall Street Journal, but Whetstone believes that Google's reasons for doing this were 'mischaracterised' by the paper. "We used known Safari functionality to provide features that signed-in Google users had enabled. It's important to stress that these advertising cookies do not collect personal information. "Unlike other major browsers, Apple's Safari browser blocks third-party cookies by default. However, Safari enables many web features for its users that rely on third parties and third-party cookies, such as "Like" buttons. Last year, we began using this functionality to enable features for signed-in Google users on Safari who had opted to see personalised ads and other content--such as the ability to "+1" things that interest them." Whetstone's statement continued: "To enable these features, we created a temporary communication link between Safari browsers and Google's servers, so that we could ascertain whether Safari users were also signed into Google, and had opted for this type of personalization. "However, the Safari browser contained functionality that then enabled other Google advertising cookies to be set on the browser. "We didn't anticipate that this would happen, and we have now started removing these advertising cookies from Safari browsers. It's important to stress that, just as on other browsers, these advertising cookies do not collect personal information. "Users of Internet Explorer, Firefox and Chrome were not affected. Nor were users of any browser (including Safari) who have opted out of our interest-based advertising program using Google's Ads Preferences Manager." So there you have it – Google did something, which caused Safari to do something else, which in turn meant Google stopped doing something. Cookies were involved but personal information was not. Phew.